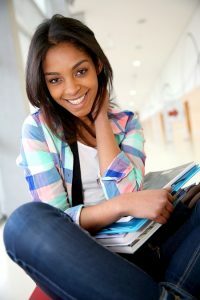 SAT Practice Test Delaware | Back to Basics Learning Dynamics, Inc.
Why should students take a mock SAT exam? A practice test services two purposes. First, it provides a baseline score so that students understand their natural strengths and non-strengths. Second, these tests provide practice with content, pacing, and stamina in a simulated testing environment. To get the most accurate results possible, Back to Basics uses only official full-length tests provided by the College Board and recreates the atmosphere of a real SAT test as closely as possible. Visit our Events Page for a complete list of SAT Practice Exams in Delaware. And, learn how SAT scores can directly impact college tuition costs. To learn more about 1-on-1 SAT Prep in Delaware, southeastern Pennsylvania, and Eastern Shore Maryland, please contact Back to Basics Learning Dynamics at 302-594-0754. Is your student taking the SAT? Prep for success with a Practice Test at Back to Basics Learning Dynamics!